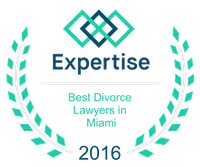 High Asset Divorce | Miami Family Law Lawyers Vilar Law, P.A. Unfortunately, there's an old expression that the wealthier someone becomes, the more problems they're bound to have. These problems become particularly compounded when marriages and families get involved. While it's part of the American dream for a person to be able to earn enough to give financial security to their family and children, that then can create a major headache when it comes to a High Asset divorces. The more money and assets involved in a person's estate, the harder it is for people, by themselves, to be able to understand and mentally estimate the value of their worth and possessions (Forbes). This difficultly leads to many high asset divorces possibly being one sided, with one of the divorcees not receiving an equitable share of their assets and value - which is the goal for any ethical attorney. High Asset estates tend to be spread across a large amount of areas. "Not leaving all your eggs in one basket" is sound financial advice, but when it comes to a divorce, these matters complicate an already difficult process. Discovering assets can be an extremely lengthy process in and of itself, not to mention having the possibility of creating extreme emotional upheaval if one spouse hasn't been truthful to the other. Not all assets are easy to translate into a financial value (ayoandken), leading to ambiguity in the divorce process. Stocks, business values, priceless items, and other assets that wealthy people may own, aren't easy to valuate, and therefore can create a challenging situation for courts to determine a fair distribution. Currently, the State of Florida doesn't necessarily assign any special way of handling High Asset divorces. Courts handle the assessment of High Value, or ambiguously valued assets, is through a process called Valuation. Unfortunately, Valuation is not an exact science and relies on either mathematical formulas (absolute value models), relative pricing (relative value), or an expectation of future values (option pricing models). Of course, this system requires a very specific expertise, that, some attorneys may find a challenge. The outcome, then, can lead to a severe misevaluation, leaving a client blindsided and open to not getting their fair portion of the assets. Additionally, an attorney that isn't well versed in such High Value Divorce proceedings, may not have the confidence to quell the unfortunate emotions that may arise, and turn what could be a straight-forward matter, into an ugly dispute between two people, costing a considerable amount of time and money. VilarLaw, has 20 years of serving clients, including these types of High Asset divorces. That experience and knowledge of dealing with even the most complicated of cases, leaves clients confident that their interests will be protected in the face of any difficulty. Please contact the VilarLaw offices at (305)373-8000, to evaluate your High Asset Divorce.